Credit unions tackling workforce housing hurdles in their communities will now have more resources to explore options with recent grants awarded by the Northwest Credit Union Foundation. The Foundation awarded $120,000 in workforce housing planning grants to five Northwest credit unions. Grant recipients include Consolidated Community Credit Union, Peninsula Credit Union, Pacific Crest Federal Credit Union, Central Willamette Community Credit Union, and Icon Community Credit Union. Credit unions are positioned to make positive impacts by building partnerships and creating innovative loan products that will enable residents to buy or rent homes throughout the Northwest. As the region continues to grow and diversify, home and rental prices have risen significantly, and in some areas, housing inventory is low – creating unique hurdles from community to community. The credit unions will use the funds to further study their local housing and rental markets and create solutions that best fit their members and communities. Each credit union that received a grant is located in a community where workforce housing is facing challenges, and their grant proposals reflected those individual hurdles. Consolidated Community, located in Portland, plans to use its funds to take a deep dive into how it can help underserved members struggling to purchase a home in a market where prices are on the rise. The credit union’s team will meet with community leaders, non-profit directors, social service agencies, and potential funders to generate conversations that will identify resource gaps and highlight opportunities where Consolidated can help with innovative mortgage financing and loans. Peninsula Credit Union will use its funds to create sustainable solutions to the workforce housing hurdles facing Shelton, Wash., and the surrounding communities it serves. The credit union plans to assist in expanding inventory in Mason County, including establishing housing in the communities where there is currently no inventory, and increasing homeownership for Hispanic and Native families. The credit union also aims to decrease the number of housing-burdened families in Mason County and will offer financial counseling, mortgage readiness, and household stabilization products. Pacific Crest Federal Credit Union, located in Klamath Falls, Ore., plans to bring together community leaders, real estate agents, staff from Kingsley Field Air National Guard Base, and business leaders in order to address the influx of new families that will be moving into the area in 2019 to work at the base. More than 100 new families are expected to move into the area as the base expands its military pilot program, and yet there is a housing shortage to accommodate the new residents. The credit union plans to take a deep dive into the situation and find solutions, including renovating foreclosed homes. Central Willamette Community Credit Union in Albany, Ore., will create and implement a home loan program to assist members in avoiding private mortgage insurance. The new product would allow families to buy a home at a more affordable monthly payment without the stress of a 20 percent down payment. The credit union also wants to focus on renters who need assistance with deposits through a loan that would be paid back over the life of their lease. 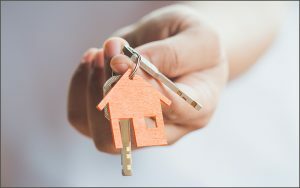 In Boise, Idaho, Icon Community Credit Union plans to help residents who need assistance with security deposits for rentals or those who want to buy and need assistance with a down payment. In early 2019, credit unions will have the opportunity to apply for another round of workforce housing grants, which will help them implement innovative, scalable and/or replicable workforce housing strategies. The RFP will be available until March. Credit unions that did not receive planning grants will still be eligible to apply for the next grant. Questions or ideas may be directed to Claire Hendrix, Northwest Credit Union Foundation Program Director. Editor’s Note: Look for another story in an upcoming Anthem announcing the opening of the second round of workforce housing grants.